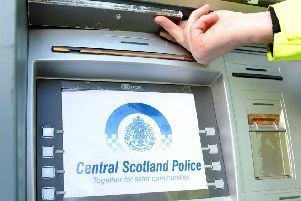 Police patrols have been stepped up after vandals struck at a Lenzie primary school. Staff and pupils at Millersneuk Primary School returned after the recent October holiday week to discover thugs had trashed the school playground area. Lenzie Stuff public Facebook posted: “During the holidays more than 40 of the newly planted trees in the social area were pulled out by vandals and thrown away. “The school have managed to find some of them but a number are still missing. “A number of trees were also thrown into neighbouring gardens. A police spokesperson at Kirkintilloch said: “There are now extra police patrols in the area of Millersneuk school after the vandalism there during the school holidays.